Civic Engagement: through voter registration drives in high schools, colleges and other public spaces frequented by young people, New Era has registered 150,000 young people to vote since 2006. Even more importantly, these new voters turn out to vote at high rates. In the 2012 election, registrants turned out at a rate of 86%. Advocacy: New Era has been at the forefront of several efforts changing the face of the Colorado electoral system in the past several years, with lobbying around voter preregistration, online voter registration, same-day voting, economic justice, student debt, reproductive rights and climate change. 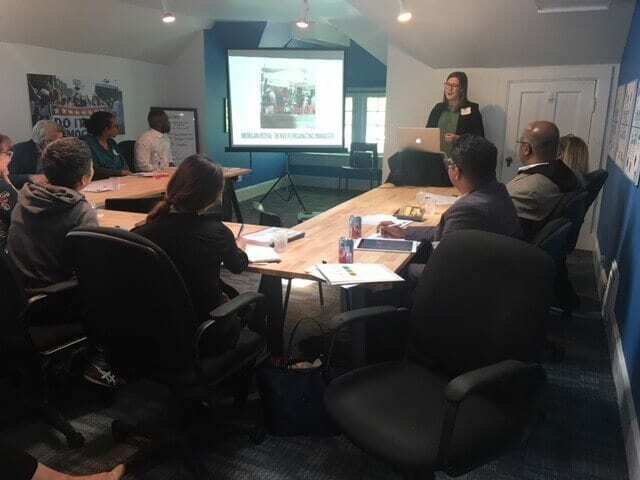 Leadership Development: New Era’s Director of Leadership Development, Morgan Royal, discussed the success of the Leadership Development Institute in building a pipeline of young leaders who will enter political and public service in Colorado and throughout the country. Through sessions for young leaders, New Era exposes its participants to a network of organizations and relationships. Several of its alumni are now working at the State Capitol, congressional offices and even as field organizers at New Era. New Era is gearing up for the 2018 elections by continuing their voter registration drives and GOTV efforts, publishing voter guides and using technology, specifically texting, to further engage and facilitate the voter registration process for young people. The vision of the organization, mirroring one of the goals of the Youth Engagement Fund, is to incite a generational change, one where more young people will participate in the civic process, with reduced barriers to voting and a leadership pipeline of progressive young people working to change the face of the state and the country. To learn more about New Era Colorado visit, http://neweracolorado.org/.